CE Kenya Zone celebrates a major feat. The CE Kenya Zone introduced thousands of Kenyans to the “Ultimate Hero” — The Lord, Jesus Christ. 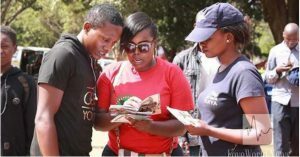 The Daily Devotional, Rhapsody of Realities made its way through the Nation’s capital of Nairobi as well as several other counties in Kenya. The life-changing book was transforming lives during the special occasion of National Mashujaa, also known as ‘Heroes’ Day’. 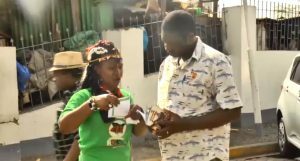 The mass distribution was all part of the campaign called ‘The ReachOut Kenya 2018‘, under the theme ‘Seeding the Nation with Blessings’. The initiative kicked off at Christ Embassy Nairobi 1 and other Christ Embassy Churches on a very high note. The colorful carnival surprised the countless recipients, who warmly welcomed the message of God. Christ Embassy brethren distributed the Rhapsody of Realities throughout the city, inspiring in thousands the love of Jesus Christ, faith, and hope. Indeed, there couldn’t have been a better gift to impact the nation of Kenya, as the nation celebrates her heroes of independence. The brethren and their beneficiaries were full of gratitude to the man of God, Reverend (Dr.) Chris Oyakhilome, for giving the world the Messenger Angel and setting the people of Kenya on the course of nation-building. The carnivals have long been changing lives, reaching millions around the world. These gospel-themed parades bring people all their unanswered questions. Last year a particularly memorable achievement was the two-month carnival (October-November). The display drew attention across nations as they received their copies of Rhapsody of Realities. The Rhapsody of REalities is now officially available in 1000 languages, making it the most translated book in the world, right after the bible. Next articleDoes Entertainment Belong in The Church?